The Lung Center Sunday market: more than just food…. I love weekend markets, never mind if I have to go there groggy from my graveyard shift. These places start very early, and itâ€™s well-advised to go there as early as 6 am, so as not to miss the morning bustle. 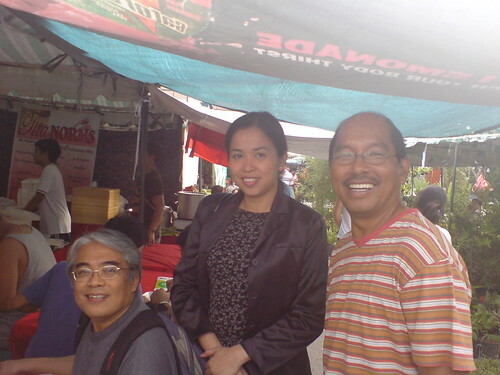 This was how I found myself in Quezon Cityâ€™s Lung Center of the Philippines Sunday market yesterday. What can I sayâ€¦. a tiangge or bazaar in the middle of hospital grounds? Tell me again. Comparisons to the Salcedo weekend market in Makati come to mind. Salcedo is clearly for the condominium -living, well-heeled crowd; this one was more hoi-polloi. Youâ€™d be better off blending here if youâ€™re a â€˜cowboyâ€™ and don’t mind being seen in your sando, shorts and slippers. Also, the Lung Center market is definitely more sprawling. Itâ€™s more than just about food, and food-related products. Cas, a newspaper colleague I bumped into, told me everything was sold at the Lung Center market, â€œfrom the common nail to an aircraft carrier.â€ Thatâ€™s just a figure of speech of course. But itâ€™s true that on some days, some fella can just park in there, auctioning a boat or vehicle! The Lung Center Sunday market does a good job of showcasing culinary specialties from the regions. I had a breakfast of rice and kinunot sa pagi ( stingray cooked in coconut milk with malunggay leaves) at the stall of Tita Norm which specializes in Bicolano dishes. Likewise, I saw various kinds of longganisa (sausages) from the provinces (Baliwag to Lucban), pancit habhab from Quezon, tuna from General Santos, bagnet and empanada from Ilocos, etc. 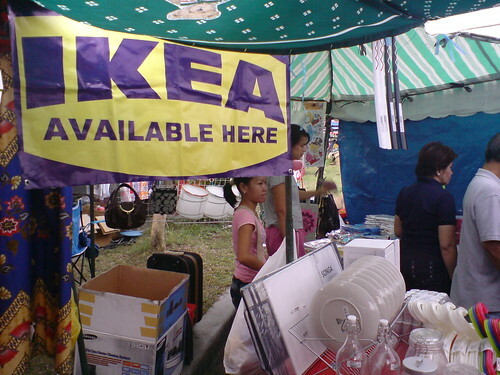 IKEA Philippines has a stall at the weekend market. They were selling a few household items like clocks, knives and lamps. For bigger items like furniture, one would be well-advised to visit the large IKEA showroom at 23 Calvary Hill St. New Rolling Hills Subd., 9th St. New Manila, Quezon City. The lady manning the display told us the local IKEA is not branching out into the mall soon to keep their prices down! IKEA New Manila’s opening hours: 10 am to 7pm (Monday to Saturday), 2 pm to 7 pm (Sundays). Telephone number 412 3112. or visit newmanila23.multiply.com. 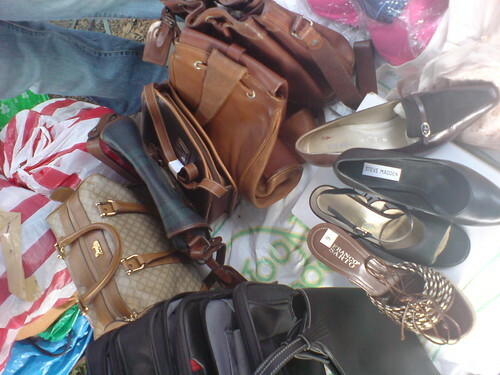 Watch out also for the corner selling vintage and other pre-owned items from Ferragamo, Vuitton, Celine and other designer brands. You never know what bargain awaits you at every corner. What you can’t find on eBay, you may find here, huh! The Sunday market also offers export overruns on clothes, jewelry and accessories. 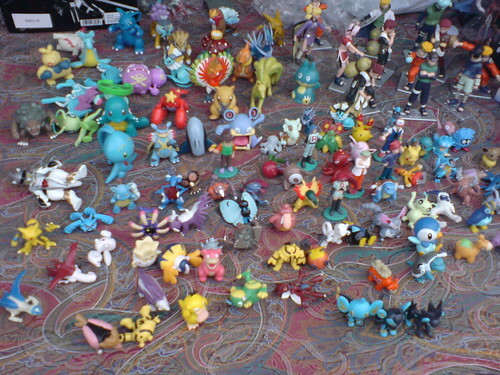 Pokemon figures were in the house! Had to scoop some for my Pokemon-crazed son. They were selling for only P20 to P40 a piece. Hobnobbed for a bit with Education Secretary (and Batanes political stalwart) Butch Abad, shown here with newspaper columnist and book author Nelson Navarro. Sec. Abad was by his lonesome self and didn’t even come with a chaperone. Naturally, he was sympathetic but wasn’t at all surprised with our Batanes experience. “Being stranded in paradise is the best thing.” Ouch. 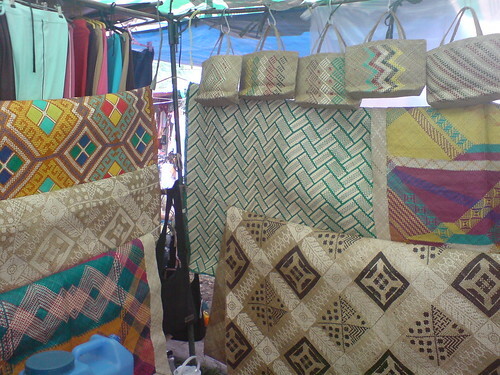 Colorful mats and native woven bags from Leyte. Box of assorted kakanin (native desserts) makes for perfect pasalubong, at only P200. 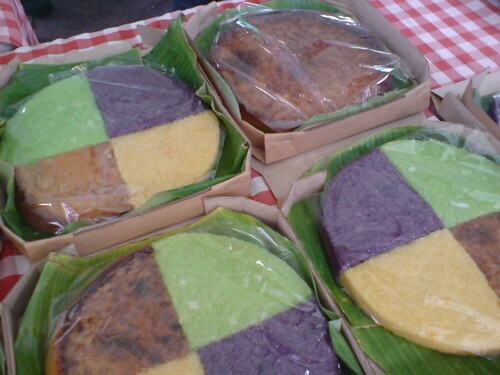 Featured are quarter portions of ube halaya, biko pandan, bibingka and cassava cake. 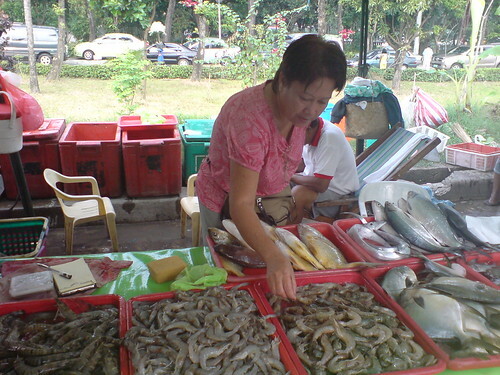 The Lung Center bazaar also sells fresh fish and seafood products, meat like Batangas beef, plants and flowers, as well as birds and exotic animals. Check out the Lung Center tiangge & Sunday market at the hospital grounds in Quezon Avenue. Quezon City. Open from 6 am to 1 pm. Parking is available and costs twenty pesos. I’ve been to the Sunday Market at the Lung Center once last year, and haven’t been back since. Just from looking at your flickr photos, my friends and I are convinced to go back next Sunday! Wow! This is great… I’ve lived near there all my life and I’ve never even known there’s a bazaar there. Hi Nina. Yes, am a latecomer to the Sunday market. It was only over the weekend that I was able to come. But there are new and interesting items every week! Toe, baka nga may baga… baga ng baboy, nyehehe. Igado anyone? Anyways, punta kayo ni Alice one of these days! Sana weekend Market ito including Saturday para mas longer ang shopping. Sunday is church day kasi. How about other cities like Marikina? Meron bang weekend market duon? If not, time to organize to develop the local culture and encourage people to build a community together! i’m interested to join the tiangge and sell my products. how can i join? pls help me. tnx a lot. Is there any chance that you can help me join this group? I heard that the waiting list is up to 400 already. Willing to share a booth with anyone. Thanks! Hi! I’m also interested to join the weekend market. How much is to rent a booth space? Would appreciate it if you can advise us other pertinent details needed to join this! Thanks! Hello! I am helping out a friend to market fresh cream dory, tilapia and dalag from their farm in Laguna. Hence, our interest in joining the weekedn market. Can you give us details how to join and the fees involved? Thank you. i’m interested for a booth space at the lung center market place….how much is the rent for merchandise and for food booth? Inviting all bazaristas’s who has the best goods by showcasing your merchandise in the IST SRE2 Fiesta Bazaar in town for the elite crowd of Sta. Rosa Laguna. Strategic location with BPO, Corporate offices, Manufacturing Industries around the bazaar area the perfect venue to sell your goods! The Christmas Season is fast approaching and what better way to make the most out of it in terms of sales and brand visibility but to join a BAZAAR with ready foot traffic and where more people has the means to buy? 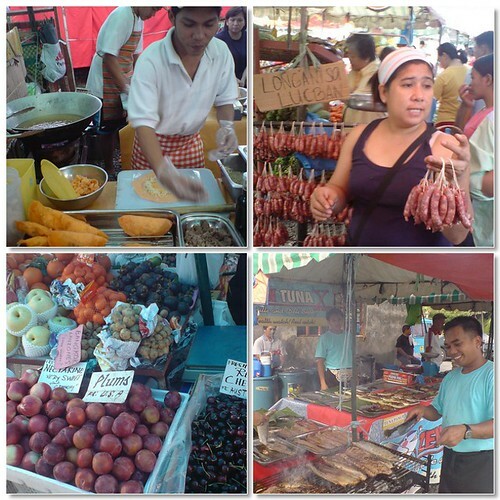 One of the best things about this bazaar is the fact that Santa Rosa is a First Class City in Laguna Province . In 1994 it was dubbed “The Investment Capital of South Luzon “. It is highly accessible to residents of surrounding communities. Home to over a thousand well to-do residents, with neighboring prominent subdivisions of class A and B markets & is strategically located in the Financial District of Sta. Rosa which makes this bazaar a power house of people with buying power. The Fiesta Bazaar can give your business the chance to be exposed to over 100,000 people in just Three days. What other promotion can give your business this kind of exposure? This year’s Fiesta Bazaar promises to be the most spectacular Bazaar of the year. Now accepting bookings for November 15, 2009 Grand Opening sponsorships are also welcome. Be one of the 30 sellers of various specialty brands of ready-made and customizable gift items, Selected merchandise from RTW to shoes, bags, accessories, novelty items, sporting wear, toys and food and other what haves. Our aim is to create a festive shopping environment filled with tastefully crafted products for our shopper’s convenience. We are targeting around 1000 shoppers, both the young and the young-at-heart from the upper economic brackets. With your support, we can boost promotions and create richer experiences for attendees, vendors and sponsors. Festive food concessionaires are also welcome to apply! · e-mail blast to over 1000 data base. · Raffle promo for all shoppers every 500.00 purchase at any booths. · Plus exciting prizes to be raffled off to lucky shoppers! We will be providing a booth system (TENT) with an area of 2.0m x 2.0m. Premium booths have two (2) sides open and regular booths have one (1) side open. Each Concessionaire will provide their own mesh, tables, chairs, table cloth (solid color, no prints), extension cords, lights, electric fan, and signage. The booth rental is Php. 750.00 per day for a premium booth and Php.550.00 per day for a regular booth and Reservation Fee 30% of the total amount to be paid. Concessionaire needs to make a security deposit of Php. 1,000. This amount will be returned to you after the event. Payments can be made through Bank of the Philippine Islands or through BDO. We also accept Cash payments or check. Reservations should be paid within two weeks before the grand opening, otherwise, said slot will be open and the reservation will be voided. Kindly call or send a message if you wish us to e-mail you the lay-out. AVAIL OUR EARLY BIRD PROMO which is free use of stall space starting on Sunday October 25, 2009 until November 14, 2009.
hi we are also interested to join the weekend market..can somebody tell me the contact details of the organizers?by the way heres my contact nos. 09228836812-10/ 044 768 8115…thanks hoping that someone will reply to this comment. i am interested to join the weekend market(lungs center)..can somebody tell me the contact details and number of organizer?…heres my contack number 09228662581..thanks, and hoping that u reply soon…. Hi! I’m also interested joining the Lung Center Sunday Market. 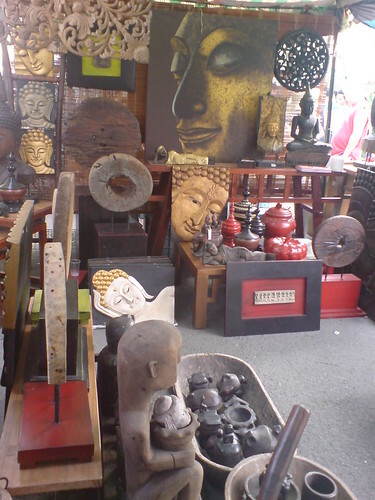 I hope you could help getting the organizwers number to inquire with… I sell bangkok RTW and accessories. Text me at 09158559089. More slots available. Book now and avail our 10% to 20% promos for early bird registration until march15. hi everyone. im monica, im residing at san mateo rizal. i’d like to join the tiangge market at lung center. please help me to know the tel of the organizer… im selling col cuts products…. hirs my cp# 09165922023 or 09228640389..
hello! who has the contact number of lung center weekend market? would like to rent a space. if anyone knows, kindly text me at 09236346032. Thanks much! 1. How much is the rate/day? 2. What are the selling hours? 3. What is the minimum number of weekend days for rent? 4. What is the size of the stall? 5. Asie from the rent, what are the other expenses that you might charge us? 6. Is there an available slot? 7. If ever we get to rent a stall, can we sell mixed items? I have other questions that might pop up, so I would kindly request for a return call from you or any landline you can provide so I can call you up. how to join lung center bazaar? Have you been here lately? I have been searching for nectarines for almost a month now and I saw in the picture (with the plums) that they have nectarines. Do they still sell nectarines now?? Im interested to join tiangge at lung center and I would like to inquire about that. Please contact me @ 09193753962. Thanks! how can i join the weekend market? text me at 09165388583. thanks! Hi, I am interested to join the sunday market. Can you please send me the details on how much the rental costs is? And what are the requirements to be part of the sunday market. i would like to inquire on the lung center bazaar. how to join and what are the requirements. you can contact me @ 09498956617.
i would like to inquire on the lung center bazaar. how to join?please contact me @ 09223435280 tnx. hi, this is evelyn i am interested to join bazaar at lung center.please send me the details on how to join?..my cel no. 09223435280.thaks and god bless!!.. gud day! gusto kong mag join sa sunday weekend market (lung center) sino at anong# kaya ang pwden kong tawagan o kaya ako ang tawagan sa #7833589. thanks and wait ko reply nio.